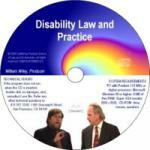 NOTE: The Research Supplement CD is automatically included with every copy of the Guide to Federal Sector Disability Discrimination Law and Practice. It does not need to be purchased separately when buying the Guide, but may be purchased separately to serve as a desk reference. 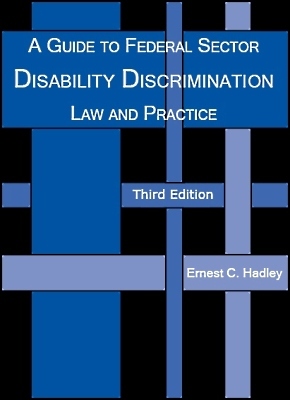 Written by Ernie Hadley, a practitioner before the Equal Employment Opportunity Commission for more than 25 years, lecturer and recognized authority on EEO law and practice, the Guide to Federal Sector Disability Discrimination Law and Practice is the seminal text on disability discrimination case law, statutes, and regulations interpreting and implementing the ADA, ADAAA, Rehabilitation Act, GINA, and Drug Abuse Act. Noteworthy additions to the Third Edition include information on the Rehabilitation Act, ADA and ADAAA as applied to federal sector employment by the EEOC, the EEOC�s final ADAAA regulations, the new definition of individuals with disabilities, new major life activities and major bodily functions, the standards for substantial limitation of a major life activity, the reversal of Supreme Court decisions on the effects of mitigating measures, devices and medications, and the new definition of regarded as disabilities. Also contains a table of cases, detailed table of contents, and research materials supplement.